Happy Fathers Day to my best dad ever! 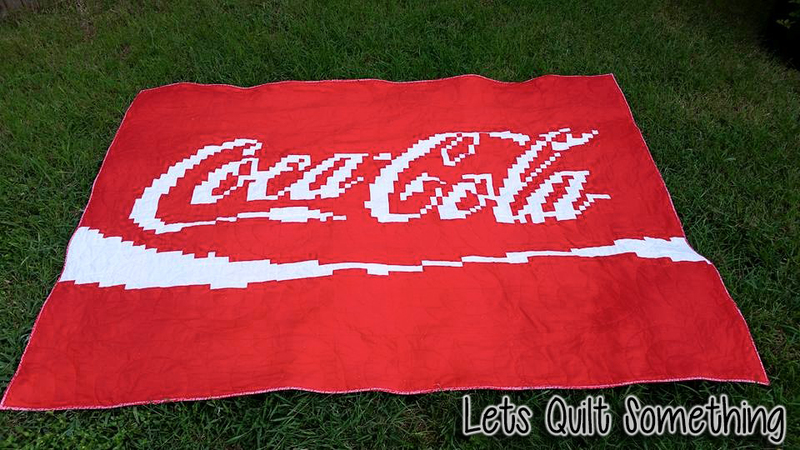 For Father's Day I made my dad a pixel quilt with one of his favorite drink. When I was younger our laundry room was filled from top to bottom, and every nook and cranny with Coke Cola products. Within a few days, I pieced it together and took it to my Quilting Store for me to quilt it. 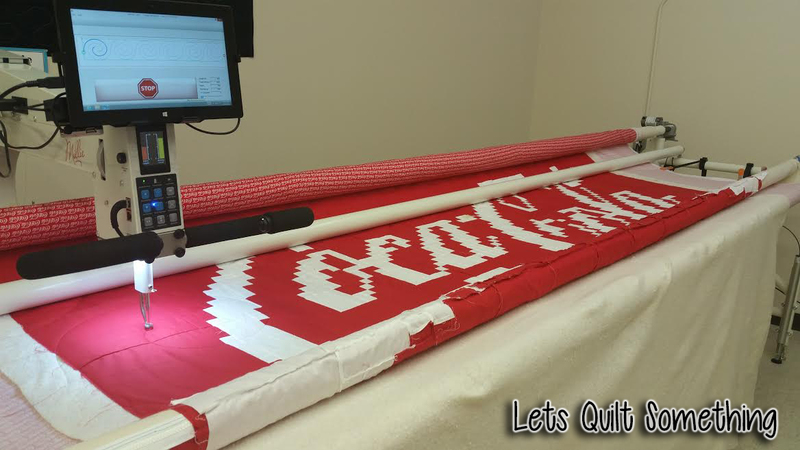 I really wanted to quilt the Coke Cola script writing on it but sadly they didn't have the program to customized it. I could hand draw coke cola but my cursive handwriting isn't that pretty. Lol So we went with a "C" swirl. I went with a larger swirl that is 12" tall so that it wouldn't distract from the quilt. 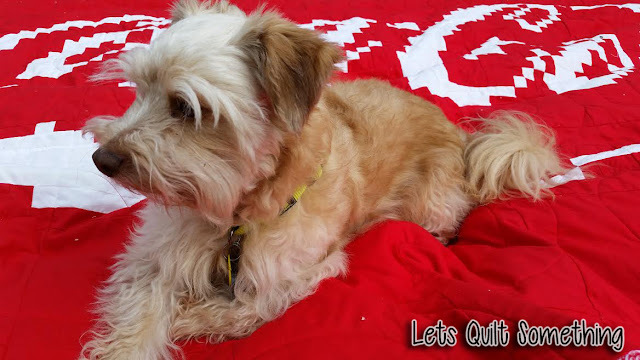 Quilting was done on a APQS Millie! One of my dream machines. I really wish I could own one myself in my home. Wow! What a great idea for a quilt! 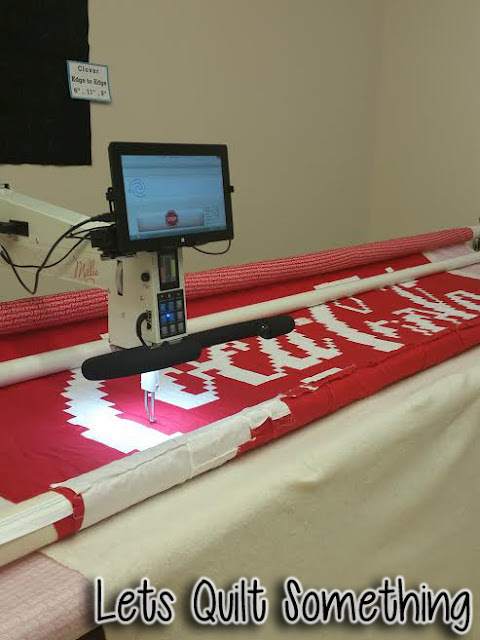 What color thread did you use since you had both the red and the white fabric? Thank You! 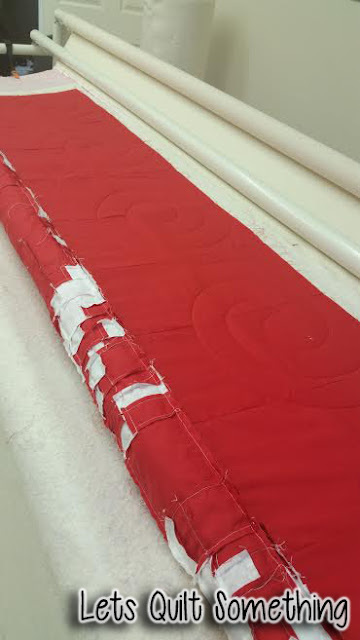 For piecing I used Aurifil White Thread and King Tut Red Thread for quilting. 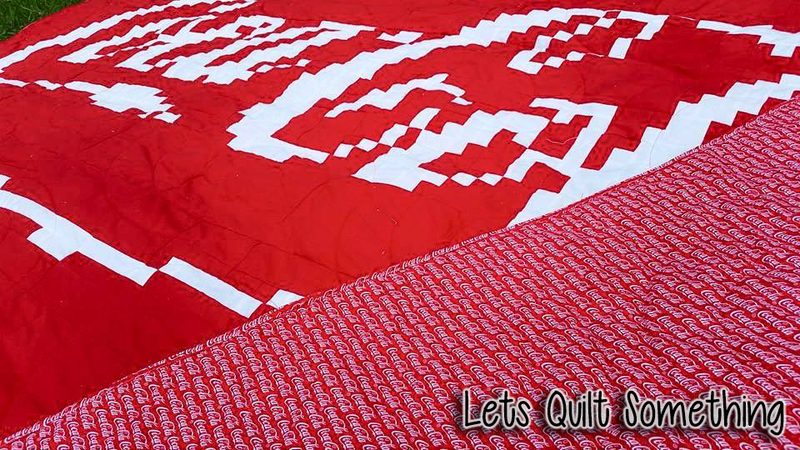 Absolutely amazing quilt. 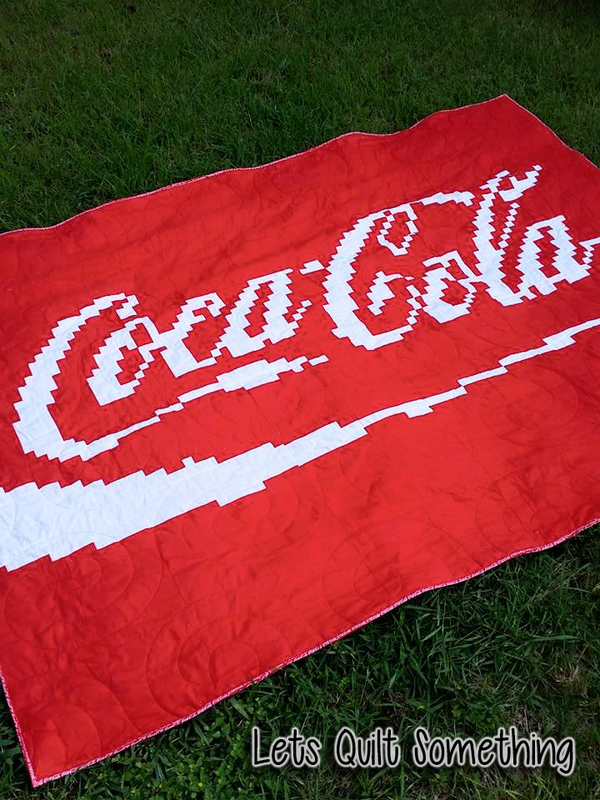 I have a friend that is totally crazy about coke cola and this is a great gift idea. Thank you for always sharing some most incredible and gorgeous quilts and patterns. You newest follower!... 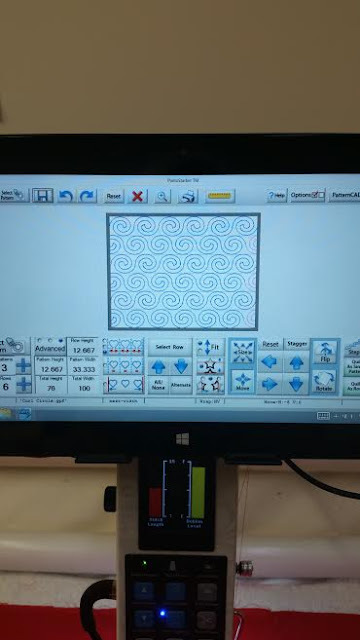 I dub thee most awesome quilter!